Yaya DaCosta's modelling experience is likely to come in handy when she plays the leading role of Whitney Houston in the upcoming biopic, The Lifetime. 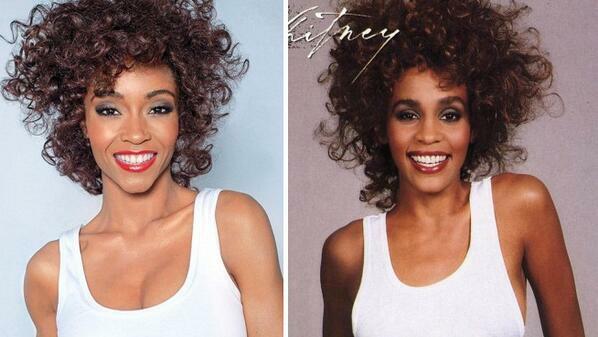 In a shoot for the film, Yaya sported Whitney's iconic curls, a white tank top and red lipstick as the late starlet did on the cover of her self-titled sophomore album. I just looked at the picture and did the same pose," the model-turned-actress said. The Lifetime is set for release in 2015.